Social Return on Investment (SROI) is an outcomes-based measurement tool that helps organisations to understand and quantify the social, environmental and economic value they are creating. Developed from traditional cost-benefit analysis and social accounting, SROI is a participative approach that is able to capture in monetised form the value of a wide range of outcomes, whether these already have a financial value or not. An SROI analysis produces a narrative of how an organisation creates and destroys value in the course of making change in the world, and a ratio that states how much social value (in £) is created for every £1 of investment. In 2008, the Office of the Third Sector in England and Scottish Government each committed to three-year projects to develop and disseminate SROI across the third sector. Establishing scope and identifying key stakeholders. Clear boundaries about what the SROI will cover, and who the will be involved are determined in this first step. Mapping outcomes. Through engaging with stakeholders, an impact map, or theory of change, which shows the relationship between inputs, outputs and outcomes is developed. Evidencing outcomes and giving them a value. This step first involves finding data to show whether outcomes have happened. Then outcomes are monetised – this means putting a financial value on the outcomes, including those that don’t have a price attached to them. Establishing impact. Having collected evidence on outcomes and monetised them, those aspects of change that would not have happened anyway (deadweight) or are not as a result of other factors (attribution) are isolated. Calculating the SROI. This step involves adding up all the benefits, subtracting any negatives and comparing them to the investment. Reporting, using and embedding. Easily forgotten, this vital last step involves sharing findings and recommendations with stakeholders, and embedding good outcomes processes within your organisation. The length of time and resources it takes to carry out an SROI varies significantly depending on the scope of the analysis and the extent to which outcomes data is already available. Organisations can undertake SROIs in-house if they have capacity, or alternatively engage a consultant. There are two types of SROIs. Evaluative SROIs are conducted retrospectively and based on actual outcomes that have taken place over a given evaluation period. These are most useful where a project is already up and running and there is good outcomes data available. Forecasted SROIs predict how much social value will be created if activities meet their intended or most likely objectives. Forecasted SROIs are used when a project is still in the planning stages to assess its likely impact or in instances where there is a lack of outcomes data. A forecasted SROI can be followed with an evaluative SROI to verify the accuracy of the predictions. The three-year projects funded by the Office of the Third Sector and Scottish Government are expected to simplify the SROI process by making available a database of common indicators and financial proxies. These will be available from 2010. It can help organisations understand what social value an activity creates in a robust and rigorous way and so manage its activities and relationships to maximise that value. The process opens up a dialogue with stakeholders, helping to assess the degree to which activities are meeting their needs and expectations. SROI puts social impact into the language of ‘return on investment’, which is widely understood by investors, commissioners and lenders. There is increasing interest in SROI as a way to demonstrate or measure the social value of investment, beyond the standard financial measurement. Where it is not being used already, SROI may be helpful in showing potential customers (for example, public bodies or other large purchasers) that they can develop new ways to define what they want out of contracts, by taking account of social and environmental impacts. SROI can also be used in strategic management. The monetised indicators can help management analyse what might happen if they change their strategy, as well as allow them to evaluate the suitability of that strategy to generating social returns, or whether there may be better means of using their resources. Assurance and verification is available through a number of bodies, including The SROI Network. If there are not already good outcomes data collection systems in place, it can be time-consuming to conduct an evaluative SROI analysis first time around. There is a danger of focusing narrowly on the ratio. The ratio is only meaningful within the wider narrative about the organisations. Just as an astute investor would not make a financial decision based on just one number, the same practice applies to this social measurement tool. For this reason, comparisons between organisations just based on the ratio are not recommended. SROI is an outcome, rather than a process evaluation. The dialogue with stakeholders yields some insight into what works and what doesn’t and why, but there may be instances where a more specific process evaluation would be useful. SROI requires a diverse skill set – from stakeholder engagement to working with Excel spreadsheets. This can be hard to find in one person. SROI was developed initially for use in the third sector. It has now been used by a range of public and third sector organisations of varying sizes. A number of funding schemes, such as the Department of Health Social Enterprise Investment Fund (SEIF), have started stipulating the use of SROI as the measurement approach. The organisation must have buy-in to the process at a senior level to ensure that the process is properly resource. This can be achieved by establishing a steering group early into the process. Skills in measuring long-term outcomes can help to make the process easier. If intending to follow through to develop the social return on investment calculation, it is useful to have some experience of using MS Excel and working with numbers. Staff time to complete an SROI analysis is variable, depending upon the quality of information the organisation already collects and the scope of the analysis. Courses are available that provide a step-by-step introduction SROI (see organisations below). 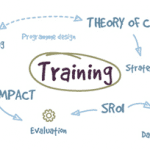 NEF Consulting offers two-day courses that lead to accreditation as an SROI practitioner. The Office of the Third Sector project has funded the publication of a guide to SROI, which is available to download from the nef or the SROI UK Network websites. Some business schools’ social entrepreneurship programmes may offer modules on measuring social value as part of their social entrepreneurship modules. The measurement of SROI is part of judgement criteria for applicants to the Global Social Venture Competition open to MBA students and alumni. SROI was pioneered by REDF, a San Francisco US-based venture philanthropy fund, and brought to the UK by nef in 2003. nef developed the methodology over a five-year period, carrying out more than 25 analyses and raising awareness in the third and public sector. In 2008, The SROI Network, a UK network for SROI, was established. The network provides assurance, acts as a portal for information, and raises awareness of the methodology. A SROI Primer can be accessed here.